American workers are the best of the best. If the playing field is level I believe they can compete with anyone. But since 1986, Washington has stood by and let the rest of the world tilt the playing field against the American worker. The median household income is just about equal today to what it was in 1990. The American middle class has not had a raise in 27 years. The stagnation of the American middle class and the growing income inequality that both Democrats and Republicans fuss about is a direct and foreseeable result of the continued deterioration of America as a place to do business. Our current tax code puts American businesses at a disadvantage and that translates to the loss of millions of middle class American jobs. We have to do better. We can’t stay where we are. Tax reform has got to be our number one goal if we want to grow the middle class and give them a much-needed and long-overdue raise. Tax reform also has to be our number one goal if we want to reduce income inequality and increase opportunity for future generations. This week Congress passed a budget that lays the groundwork for tax reform that will help grow our economy and make America competitive in the world. 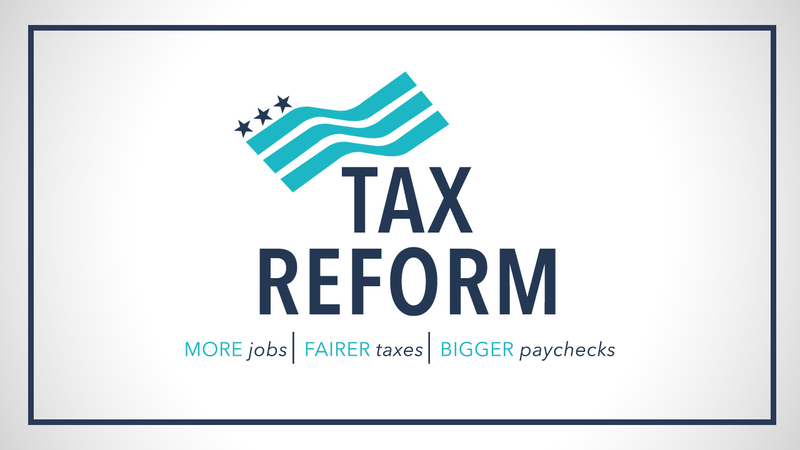 In my opinion, tax reform will provide resurgence in American manufacturing, resurgence in the American middle class, reduction in income disparity, and reduction of jobs leaving our shores. I supported this budget because we have got to make tax reform a reality so that we can restore our competitive spirit and leave more opportunity for our kids and grand kids. America is the land of opportunity and ‘gig-economy’ jobs are helping expand that opportunity for people in South Carolina and all across the country. Because of the gig economy, people can now go on their phones and be hired for home maintenance repairs or ride-sharing services almost instantly. We've come a long way with technology and services, but one thing that hasn't kept up with the times is our tax code. Right now, freelance-style workers in the gig economy are often left struggling to understand the complicated and subjective tax code as it applies to their style of work. These workers deserve to have certainty under the tax code, so I introduced the NEW GIG Act to bolster this booming sector of our economy while reducing the complexity in worker classification that exists today. This bill would create a safe harbor that allows workers to comply with a simple set of objective factors to be classified as an independent contractor, creating simplicity and continuity instead of complex rules. I'll continue working with my colleagues and stakeholders in the on-demand community to further improve this area of the tax code and provide these workers certainty. On October 1 innocent concert goers in Las Vegas became victims of a tragic attack. Our country was devastated by one of the worst mass shootings in recent memory. But during this horrific time we were also reminded of all the good that is still present in this great nation, including through those who stepped up to help strangers wounded in this attack. 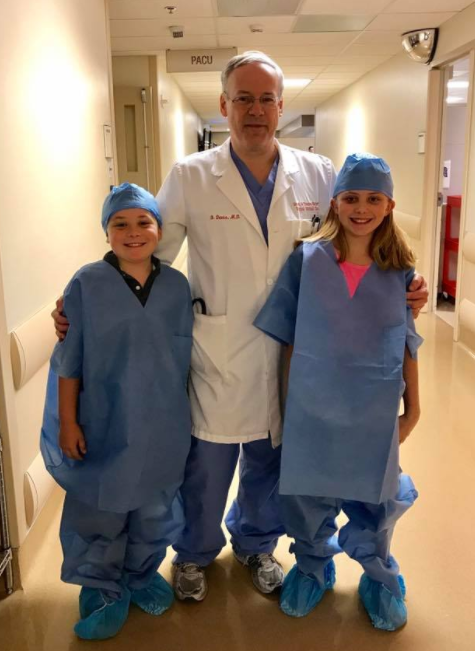 One of these people who stepped up is Dr. Ben Davis, a hometown hero who went above and beyond to help after the attack. Dr. Davis is a trauma surgeon who lives in Murrells Inlet, South Carolina, and practices at Sunrise Hospital in Las Vegas. After the shooting, Dr. Davis was one of a handful of surgeons who operated on 95 critically wounded patients in the first 24-hour period immediately after the attack. In addition to performing surgeries, he triaged many others, providing life-saving medical attention to victims of the shooting. Following these sorts of injuries, the first few hours are life and death for victims. But because of Dr. Davis’ selfless actions, countless lives were saved. 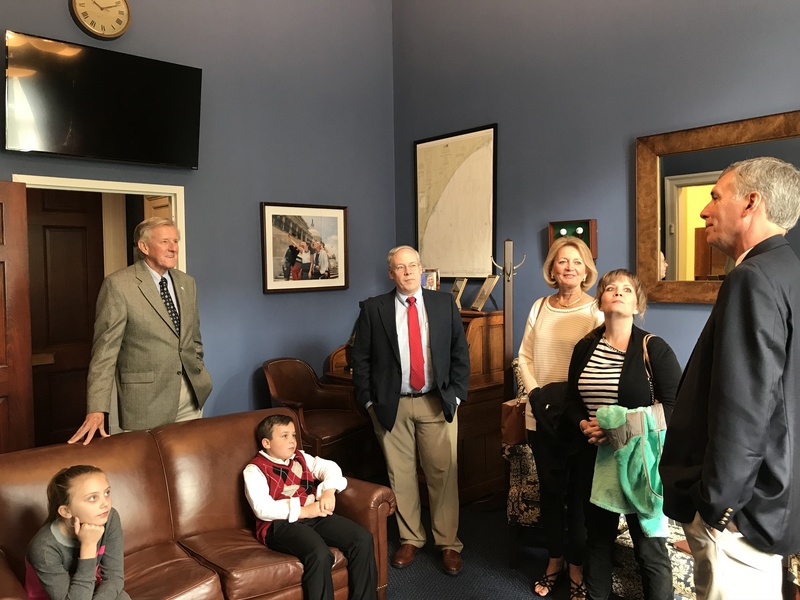 This week I had the pleasure of showing him and his family around the United States Capitol while they were in town being honored for his service. Dr. Davis is a true hometown hero who, during a time of despair and crisis, stepped up to provide relief and comfort. People like him restore faith in humanity and make our country proud. Thank you, Dr. Davis! 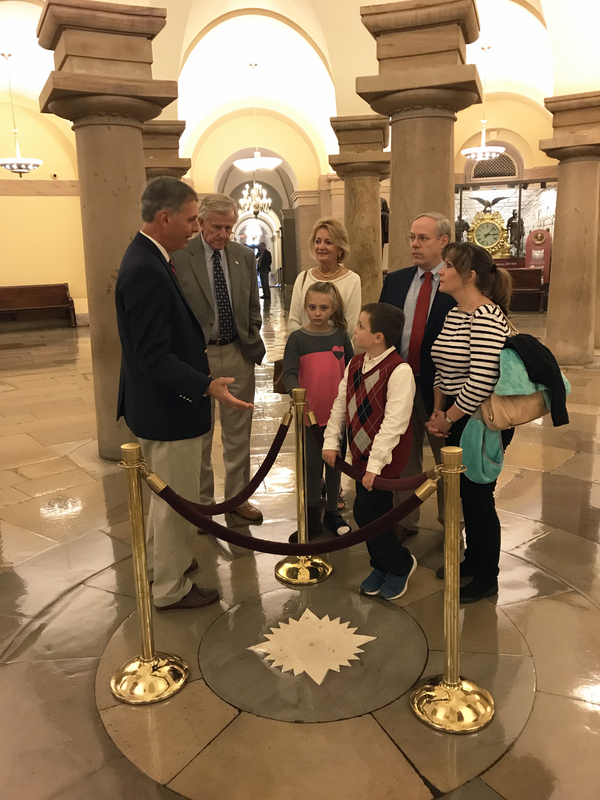 Talking with Dr. Davis (second from left) and his family in my D.C. office. Showing Dr. Davis and his family the crypt in the Capitol. From the beginning I've been an advocate for the Dillon Inland Port because of its potential to help uplift Dillon County as well as Marion and Marlboro counties. It will take a piece of the Charleston Port and put it in Dillon to help facilitate the shipment of cargo from the Southeast to other parts of the country. The port itself will employ around 50 people, but what I am most excited about is the new industry and jobs that will come to Dillon because of its close proximity to the Inland Port. When the South Carolina Ports Authority opened a similar inland port in Greer, it was a big success. It attracted many new businesses and jobs and it's looking like the same will happen in Dillon. This week KB Biotech Solutions announced they will be launching new manufacturing operations in Dillon County, bringing 100 new jobs to the area. I'm hopeful that this announcement is the first of many! Inland Port in Greer, SC. We all know someone who has been affected by Alzheimer's disease. It is the 6th leading cause of death in America and cannot be prevented, cured or slowed. More than five million Americans live with this awful disease and a new case is diagnosed every 66 seconds. But the good news is that many people in South Carolina are working to combat this horrific disease. Just this week the Rotary Club of Georgetown donated $37,000 to the Coins for Alzheimer's Research Foundation. This cutting-edge foundation specializes in research of Alzheimer's, so hopefully one day we will find a cure and no one will be affected by this disease.